For our multi day trips for groups we recommend using our double Canadian Canoes. We take great pride in purchasing new Canoes each season, so you paddle down the river in style. We recommend kayaks for odd sized groups or solo paddlers. Our new "sit on top" kayaks offer more storage for your multi day trip, so you can still bring the essentials. 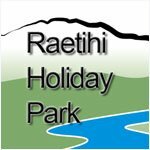 You can choose to meet us at the Raetihi Holiday Park the night before your trip to have your briefing and pack your barrels, or meet us on the morning of your trip. If you meet us in the morning please be here between 6.30 and 7 am as our shuttle leaves by 8am. This gives you enough time to paddle to your campsites each day. At the end of your trip our shuttle will meet you in Pipiriki at our pre-arranged time – you would usually expect to be back at our base at the Raetihi Holiday Park between 3 and 5 pm. If you are short of time or have little paddling experience this is the trip for you. This trip starts in the most beautiful and scenic part of the river. 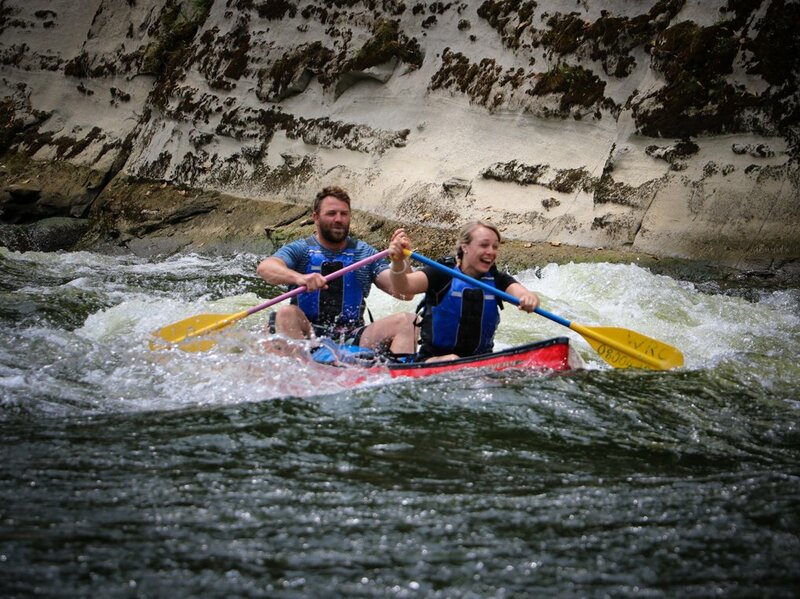 You will be amazed as you paddle through the centre of the Whanganui National Park passing through pristine native bush, deep gorges covered with ferns, caves, and rapids. 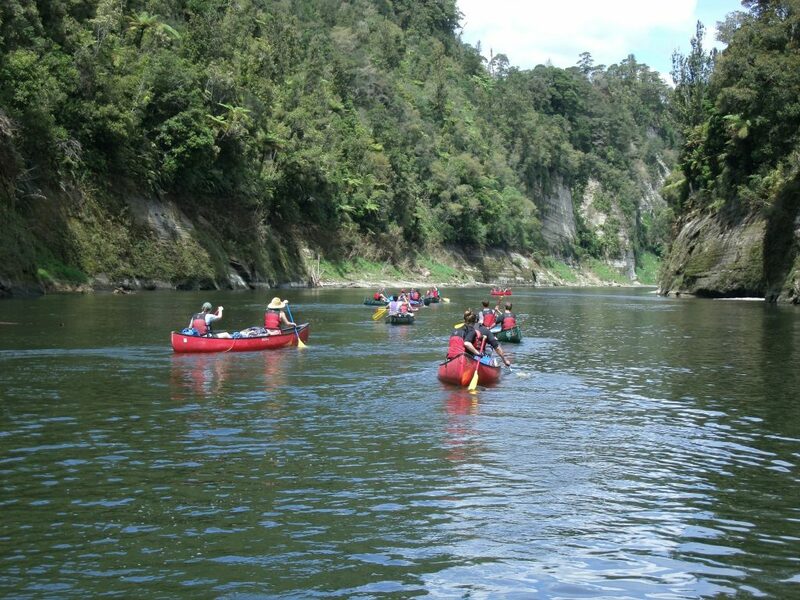 The Whanganui River is classed as one of the great walks of New Zealand and suitable for most ages and skill levels. This section is great for beginner paddlers, as you will have a bit more time to learn to paddle before entering any rapids. 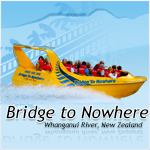 This trip begins approximately 20 km down river from Taumarunui at Ohinepane. It is for those of you who want to see a little bit more of the river. Starting in a shallower section of the river, paddling through farmland and rapids after your first day the river will move towards the deep gorges, waterfalls, and bush that you have come to see. 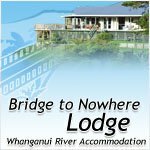 The Whanganui River is classed as one of the great walks of New Zealand and suitable most ages and skill levels. 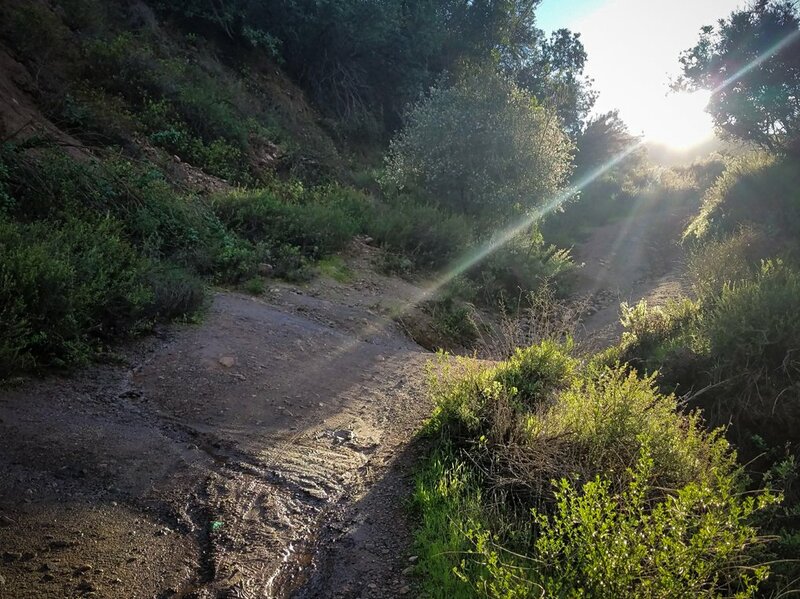 We recommend this section for paddlers who have had some experience, and want a challenge while experiencing the beauty our river has to offer. Starting in Taumarunui, Cherry Grove is the first departing point on the river. If you are the keen adventurous type this trip will suit you. It is the longest trip we offer, starting faster and shallower then other points of the river. As you paddle further down the river you will pass through farmland, making your way deep into the center of the Whanganui National Park. Throughout the trip you will watch the riverbanks transform from the farmland at the start, to the steep gorges, feel free to stop and paddle up some of the beautiful side streams on your journey. 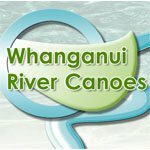 The Whanganui River is classed as one of the great walks of New Zealand and has sections suitable for most ages and skill levels. The Cherry Grove section is recommended for people who have had paddling experience and can paddle around obstacles confidently. 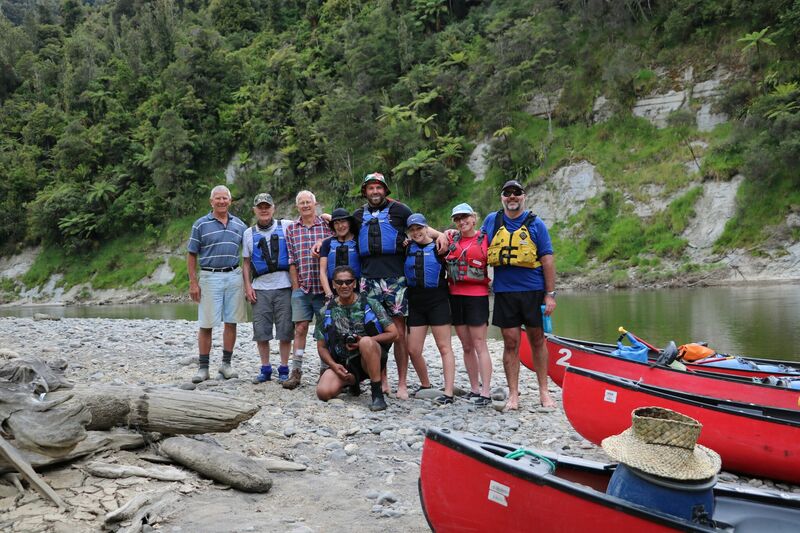 Whanganui River Canoes offers many different, affordable options for Te Araroa Trail walkers. 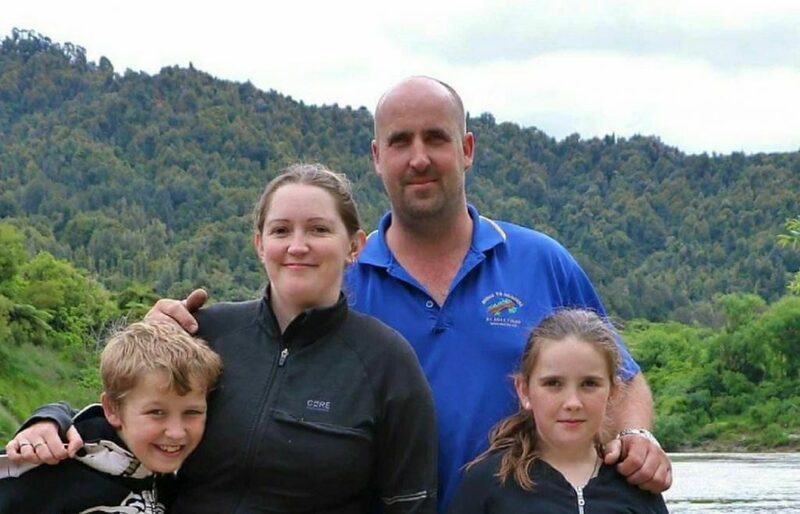 Talk to us about your plans for the Whanganui Section of the trail. We can arrange for your trip to start at Cherry Grove, Ohinepane, or Whakahoro– depending on where you want to start paddling. 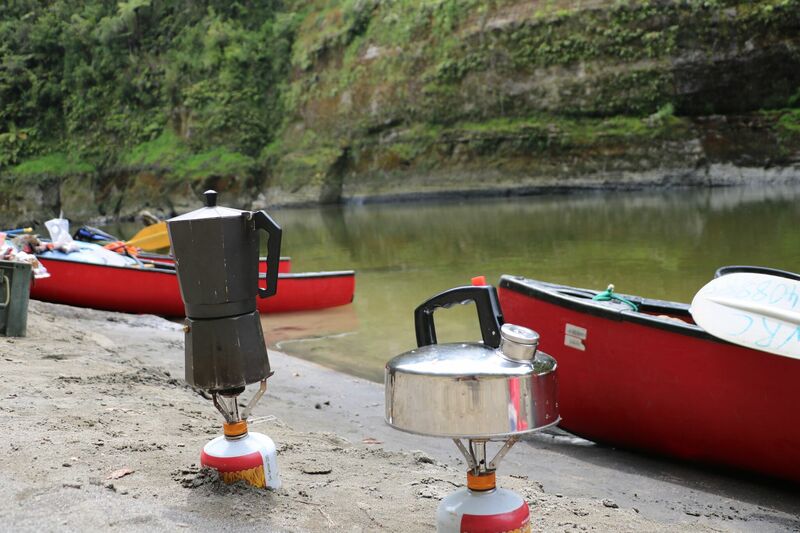 You can end your paddling section at Pipiriki, or continue paddling to Whanganui. Talk to us about your best options. For safety reasons we are only able to put solo paddlers on if we have other people to do the same section on the same dates, so try to find someone to paddle with if you can, otherwise we will let you know when we have other paddlers. We also hire Mountain Bikes - a popular option from Pipiriki to Whanganui fro Te Araroa Walkers after a long paddle - and a great way for solo walkers to continue the trail.